Often referred to as “Isla Bonita” or beautiful island, La Palma is also the greenest in the Canaries for its overflowing natural wealth. Thus, it is a fitting home to Los Tilos, one of the few surviving Laurisilva forests on the planet. The enchanting forest nestled between colossal mountains has thrived for millions of years. Its primeval terrain is the paragon of untouched natural beauty, a rarity nowadays. For visitors who want to go way back in time, Los Tilos should be high up on the list of must-visit places. The Tertiary Period was the golden age of the Laurisilva forests. It was the era when they veiled much of southern Europe and North Africa. It was around this time that Los Tilos also came into existence. The reign of the sub-tropical forests in these regions was lengthy. They most definitely had a good run. But, all good and beautiful things must come to an end. By the 20th century, they were already rare as their number dwindled significantly. It is also for that unfortunate reason that they are deemed so vital. Los Tilos is twenty million years old now. And, it owes its magnificence to its great age. Of course, the tremendous effort to preserve the paradise is also a factor. In 1983, it became a part of La Palma’s first UNESCO World Biosphere Reserve. Thus, officially making it a protected area. 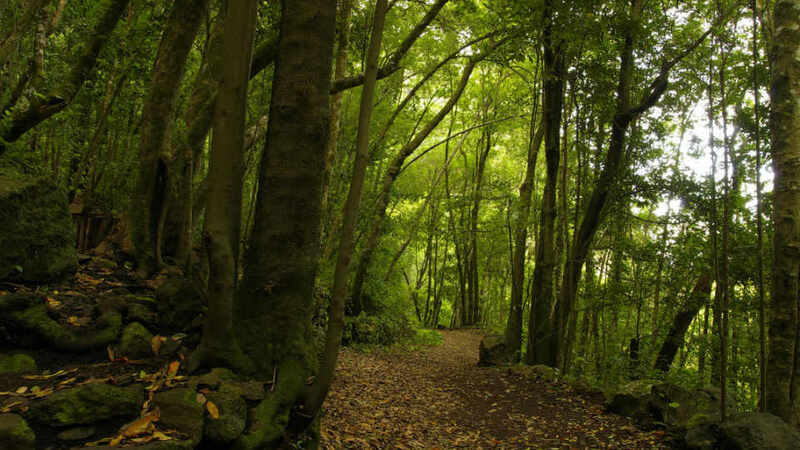 Being one of the few remaining Laurisilva forests makes Los Tilos exceptional. But, its uncommonness is only one of its many charms. It’s no surprise that people from far and wide go all the way here to marvel at its natural splendors. Before sauntering to the gorge jungle, head to the interpretation center first. Within this modest building are panels showing the plants and birds that prosper in Los Tilos. Not only are they educational, but they are also fascinating. A beautifully constructed model of the rainforest builds up the anticipation of what’s to come. There’s also a cafe here for visitors to fuel up before the hike. Aside from being of the ‘limited’ type, it is also a sanctuary to hundreds of endemic floras and faunas. Vegetation such as gigantic ferns, acebiños (Ilex canariensis), barbuzanos (Apollonias barbujana), brezos (Erica arborea), fayas (Myrica faya), laureles (Laurus novocanariensis), madroños (Arbutus canariensis), palos blancos (Picconia excelsa), peralillos (Maytenus canariensis), tiles (Ocotea foetens), and viñátigos (Persea indica) prosper here. While the Bolle’s and White-tailed Laurel Pigeons are its feathered celebrities. Countless intriguing invertebrates also inhabit its wet surroundings. These living beings are unique to La Palma and are such marvelous sights. They don’t merely exist here; they also flourish in its fertile soil and other riches. That makes Los Tilos one of the most impressive and valuable laurel forests in the world. The 20-million-year old Los Tilos has a couple of captivating routes for wanderers. Throughout the hike, Laurel trees up to 40 meters high and giant ferns keep visitors enthralled. 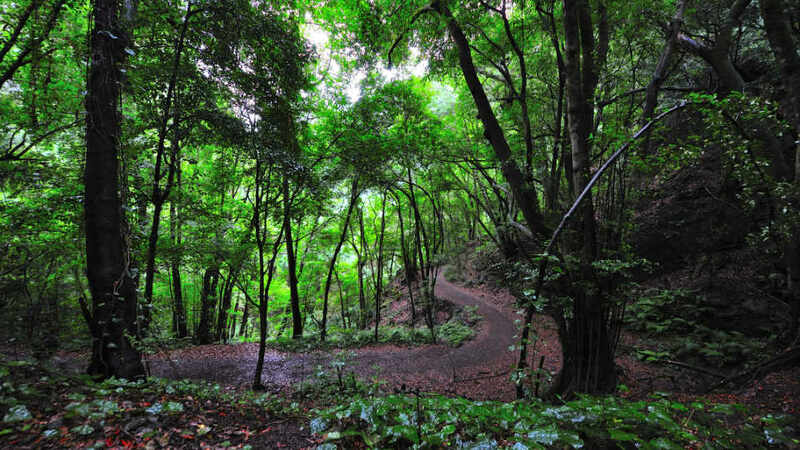 The lush forest has three famous tracks, all offering a different side of Los Tilos. About the only thing visitors need to consider is the length of time it takes to finish each trail. To complete the three, then it will take at best one full day. Most tourists visiting Los Tilos are there to see the Marcos y Cordero. 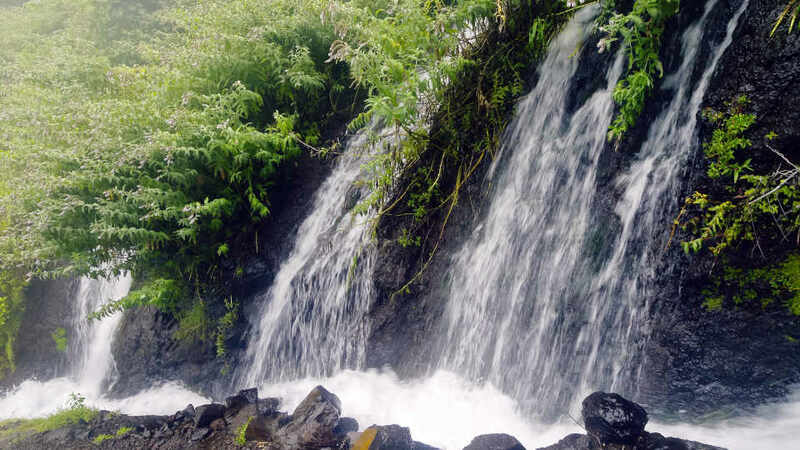 It is a splendid water source that has waterfalls and springs. To see it though, they must embark on this the gorge’s longest route. And, there it awaits at the very end of the path. The first part of the walk will have visitors cross 13 caves or water canals. 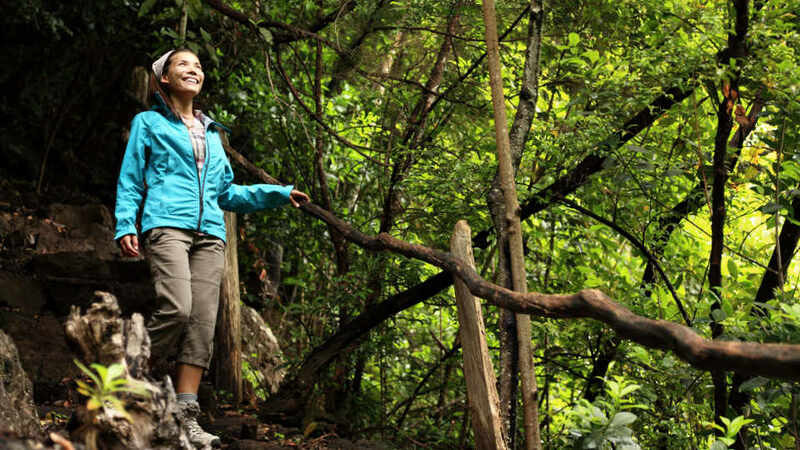 It’s an easy five-kilometer route that only takes around an hour and a half hike. A torch or a flashlight is needed as there isn’t any light inside. For the last cave, they will also need a raincoat or anything that can be used to protect you from the falling water. Children and people with mobility problems are not urged to take the second part of the route. It’s a seven kilometer downward narrow path between rocks. As it is quite challenging, it can take up to two to three hours to finish. Almost all tourist spots in the Canaries have a mirador. And, the astonishing Los Tilos, of course, can’t have just one, so it has two. A simple statement that proves just how breathtaking it is. The Las Barandas and Espigón Atravesado viewpoints are both quite steep. Thus, the climb up can be hard. The breathtaking vistas of Los Tilos, though, makes all the effort well worth it. They offer almost the same views, but many choose one over the other depending on which path they plan to take. Going through the Los Sauces to Laguna de Barlovento, most hikers stop at the Las Barandas viewpoint. As for those trekking the Marcos y Cordero trail, they often go to Espigón Atravesado as it is along the way. Regardless of which one, both provide 360 degrees view of the limitless greenery of Los Tilos. Los Tilos has no entrance fee, as do other national parks in the La Palma. It also has no declared opening hours. As it is a forest, people can come and go, but it’s best to plan for a return before night falls. As for the interpretation center, it is open daily from 8:30 to 17:00. Bring a flashlight or a torch and a raincoat. The canals have no lighting, and the last one has falling waters. It also might rain, so better be ready than sorry. As expected of a sub-tropical rain forest, it can be quite wet. Please wear proper clothing and footwear. When doing PR LP 6 walk from Los Tilos Visitors Center to Los Sauces, visitors must ride 4×4 taxis to the starting point in Casa del Monte. That’s 15 kilometers of very windy and bumpy off-road drive that will last for an hour. It will take a total of two hours for one 4×4 taxi to get back and there’s just very few of them. Hence, it is a good idea to book a tour in advance. The trek will take hours, so remember to bring food and water. Most importantly, do not leave anything in the forest. The only restaurant in Los Tilos is Restaurante Casa Demetrio, and it’s a great one. Additionally, it’s near the interpretation center and parking lot, so it’s impossible to miss. Their best-sellers are tapas, fried rabbit with onion, papas arrugadas, and papas agradecidas. Also try any of their selection of meat and fish dishes, salads, stews, and desserts before or after the hike. Fall in love with the sound of the birds chirping while having coffee in their outdoor dining area. The cozy indoors is also perfect for when it’s too cold outside. For those who prefer to dine elsewhere, there are plenty of dining options in Los Sauces. From the bustling Santa Cruz de la Palma, bus line 100 (1 and 2 only) takes visitors to the sleepy Los Sauces. From the town, take a taxi to Los Tilos. They may also get off the bus before reaching the Los Tiles Bridge and walk or take a taxi from there. Like bus line 100, those who will hire a car will go through LP-1. They, too, should then turn left before the bridge to reach the interpretation center. The beauty of Los Tilos is incomparable with the modern allures most places have. Its lush vegetation is a mirror of what a massive part of the world looked like millions of years ago. Its towering laurels and giant ferns are as impressive as the skyscrapers in metros. Within this virgin forest, people can feel what it’s like to be a part of history. They can also join the present and promote its preservation for a greener future. Los Tilos is older and more glorious than most things on this planet. While a lot of places can be enhanced and recreated, this Laurisilva forest cannot. What it was eons ago is still what it is today. It is an ancient natural beauty that never gets old.